Who doesn’t love a G&T? 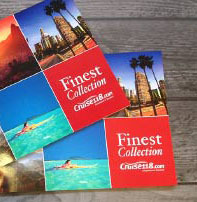 You have left port, you are sitting in a swish cocktail bar on-board, listening to a bit of smooth jazz, reflecting on your day as your ship sails into the sunset, ice clinking in your glass. I’m sure many of you would agree that this is seaborne heaven. Fortunately for gin lovers, cruise ships are embracing the current craze for a proper hand-crafted gin and tonic; the fashion sweeping Britain for boutique gins and cool gin bars has reached the ocean waves. Gone are the days of a shot of Gordon’s, a limp slice of lemon and some nasty, unbranded tonic from a tap behind the bar. In fact, so passionate is the British public about craft gins that cruise lines are going as far as to launch their own labels. 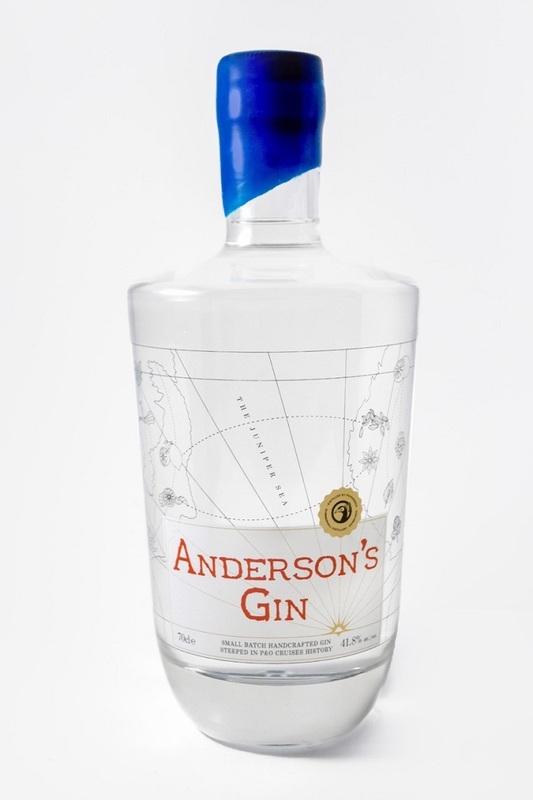 P&O Cruises has recently produced Anderson’s Gin, named after the line’s founder, Arthur Anderson, distilled in Edinburgh and including botanicals that reflect plants collected from the routes historically sailed by P&O’s ships: coriander, kaffir lime and blood orange, as well as fennel, star anise, coriander and tea from Ceylon. Having sampled it, I can confirm it is delicious – spicy and refreshing at the same time, especially when served with Fever Tree tonic and garnished with pink grapefruit and cardamom seeds. 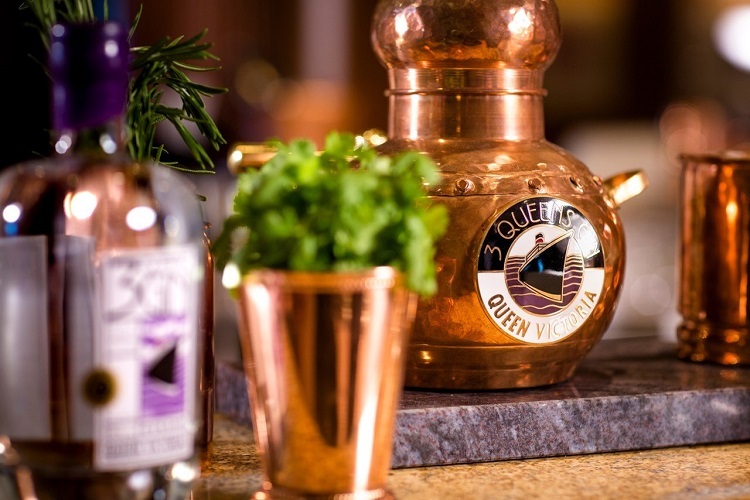 Cunard, too, has its own gin, distilled by Pickering’s, with one spirit for each of the Cunard Queens, featuring destination-themed botanicals: Mediterranean for Queen Victoria, oriental for Queen Elizabeth and ‘a hint of the Americas’ for Queen Mary 2. Even tiny Scottish company, Majestic Line, has its own charmingly-named Bilgewater Gin. What is exciting, too, is the imagination that is going into serving gin on-board. Fred. Olsen has an impressive gin menu on its ships featuring everything from Sipsmith’s, distilled in west London, to Pinkster, which is flavoured with raspberries, juniper and black peppercorns. Or City of London, served with Fever Tree elderflower tonic. Or, my favourite, Williams Chase Seville Orange, which has a wonderful hint of bitter orange that comes to life when presented with the correct garnish: a twist of orange peel. Gin lovers on P&O Cruises’ Britannia should head straight to the Crow’s Nest where there is a stunning selection of British gins, among them The Botanist Islay Dry Gin from Scotland, Silent Pool from Surrey and Tarquin’s Dry from Cornwall, with some decent tonics – Fentiman’s and Bottlegreen as well as Fever Tree. If you are sailing in style on Hapag Lloyd’s luxurious Europa 2, you will find what the line claims is the largest gin collection at sea in the Herrenzimmer, a posh bar resembling a gentlemen’s club stocked with 37 different gins from all over Europe, and an array of garnishes from cinnamon sticks to slices of fresh ginger. Try a Spanish Gin Mare – the rosemary and thyme transports you straight to the Mediterranean – or a German-made Monkey 47, containing 47 botanicals. I’d say Gin & Fizz, a gin lover’s paradise recently added to Cunard’s Queen Victoria, would give the Herrenzimmer a run for its money, though. Complete with a tiny copper still perched on the bar alongside pots of fresh herbs for garnishes, the menu has (I have counted) 41 different gins divided into categories from floral to spicy to citrus. They are served in proper Spanish copa glasses (like fish bowls) and paired with tonics from the ubiquitous Fever Tree to 1724, from the Andes, and even the bonkers-sounding Peter Spanton Beverage No 4 Chocolate Tonic Water. Whether or not you are ready for hints of chocolate in your cocktail, there has never been a better time for gin drinkers to take to the high seas. What is your favourite bar at sea? Let us know!